The holding of the 2018 Homeless World Cup in Mexico was a real success. 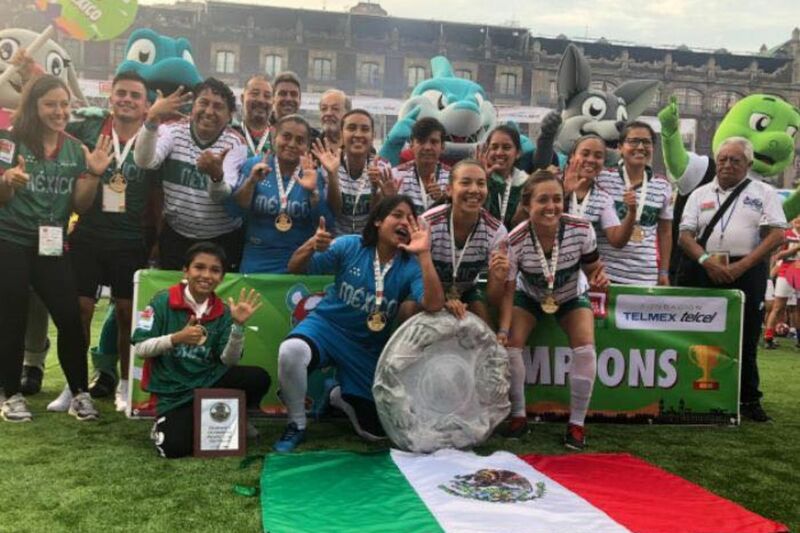 From November 13 to 18, the Zocalo of Mexico City witnessed a sporting festival, which was topped by the respective victories of the Mexican representatives. In the women’s cup, Mexico beat the Colombian team 5-3 in the final. This result was their fourth consecutive crown and the sixth in total, after being victorious in Mexico 2012, Poznan 2013, Amsterdam 2015, Glasgow 2016 and Oslo 2017. For their part, the men’s team beat Chile 6-3 in the final, to conquer their third Homeless World Cup in history. The trophy won on this occasion was added to those lifted in Amsterdam 2015 and Glasgow 2016. Following Mexico’s double championship in the 2018 Homeless World Cup, Arturo Elias Ayub, Multimedia and Strategic Alliances CEO of America Movil, underlined the successful organization of the tournament on Mexican soil. “It was a great Homeless World Cup. As well as the double championship, which we are very excited about, seeing 42 men’s teams and 16 women’s teams from 40 countries around the world, competing and changing their lives is a privilege and a great satisfaction”, he said. About the role of the Telmex-Telcel Foundation, Elias Ayub said: “we believe that sport radically changes society, the individual and, in turn, society, and in turn the country as a whole. This is what all the foundation’s sporting programs are about”. This was the second Homeless World Cup held in Mexico. Next year, the event will be held in Cardiff, Wales.